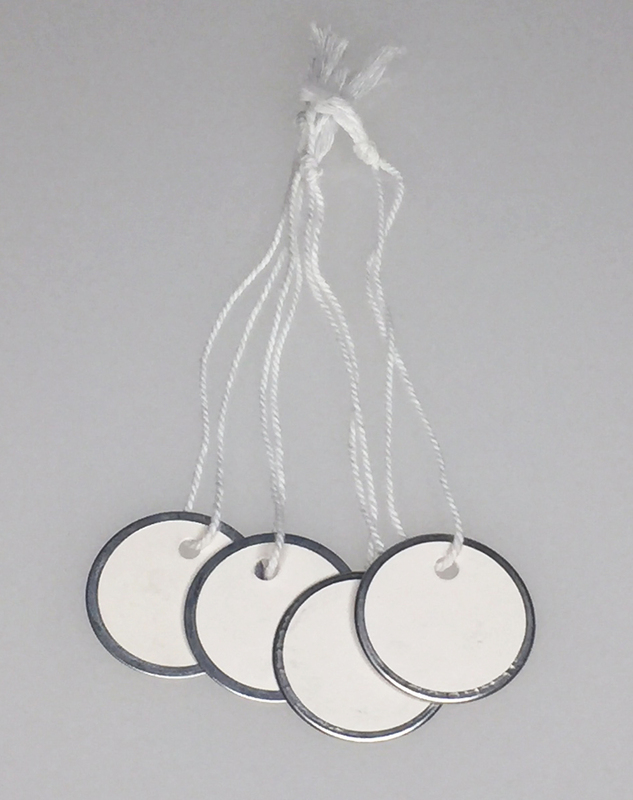 1 1/4" Paper Tag w/Metal Edge and String secures the paper tag in place. 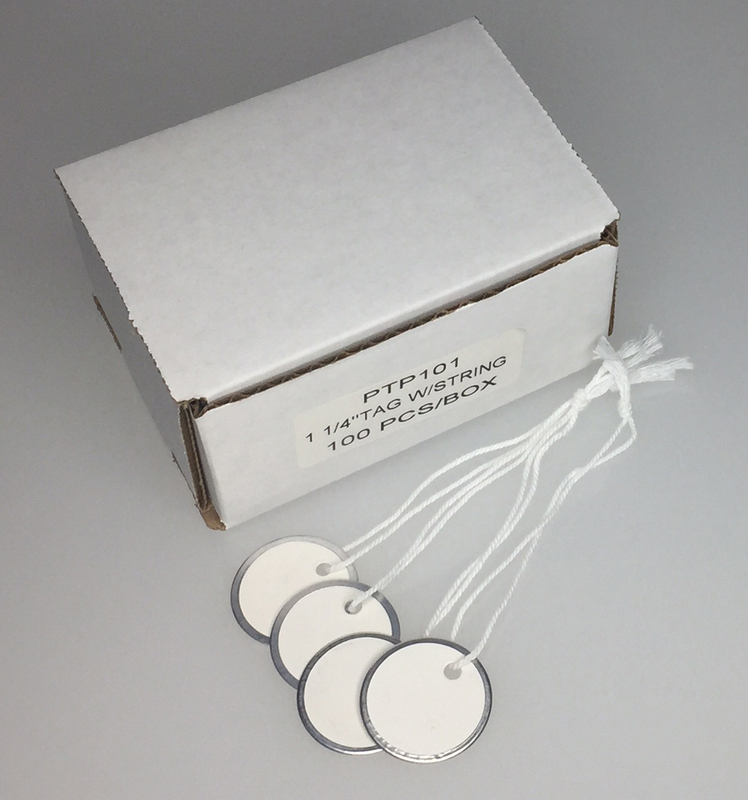 The tags are perfect for small bits of information such as names, prices and other types of identification. Packaging is 100/Box.